The King of the Cage promotion may be the owner of the richest history in the New Mexico combat sport's world and despite keeping consistent on ticket sales, the promotion has lacked the premier "Star" that would typically emerge from their ranks. The King of the Cage promotion has its normal destinations amongst their nationwide pathway throughout the year. In addition to the promotion making stops in New Mexico, one of those stops is in Towaoc, Colorado at the Ute Mountain Casino & Resort. 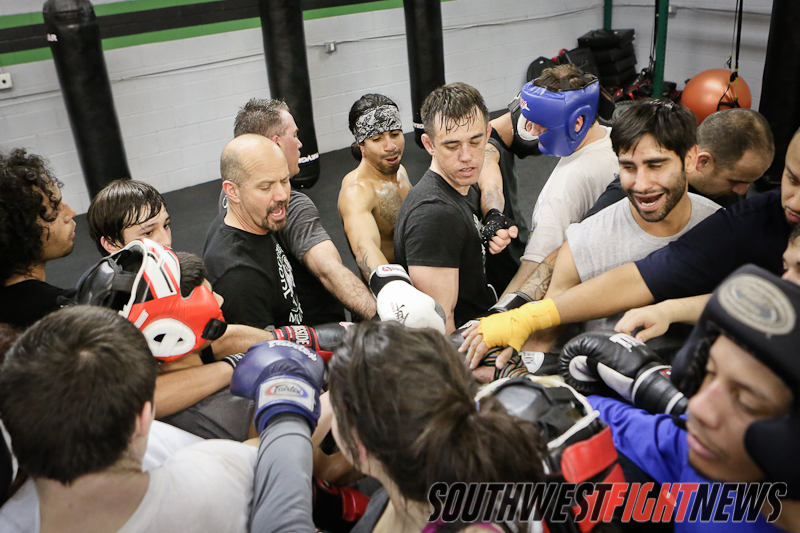 This Saturday’s event will feature fighters from Utah, Arizona, New Mexico, Hawaii and the host state of Colorado and will feature an amateur title bout in the 135-pound division. Including male and female bouts, the fight card is tentatively scheduled to feature 15-bouts. The lone professional bout on the card features Hawaii’s Kani Correa fighting Colorado’s Steve Hanna (3-1) in a 170-pound clash. Filling in as the evening’s co-main event, the King of the Cage Amateur Title is on the line when 135-pounders Robert Herrera (4-1) fighting out of Farmington’s 505 Fight Factory takes on Durango Martial Arts fighter Kevin Wirth (4-2). Lifer MMA’s Joey Trevino (5-2) will take on another Judgement MMA fighter when he matches up with Ozzy Chavez (1-1). Chavez will have two other opponents fighting on the card, Jesse Sandoval (0-3) will be in action against El Paso’s Mike Silva (0-1) and Amanda Lovato (2-1) will take on Melody Nanez (0-1) who will be fighting out of FIT NHB. Judgement MMA Head Coach Scott Marlowe will have three fighters in action this Saturday night in Colorado. Lovato is expected to make her professional debut in 2014 and this fight against Nunez may serve as her final amateur bout. A few short months ago, a third combat bout with Nikki Lowe was scratched last-minute for undisclosed reasons. She will once again draw a fighter from Albuquerque’s FIT NHB and the outcome of the fight should hold big-time implications for her career trajectory going forward. Another notable on the card, George Clynes (2-0) representing Gracie Barra BJJ in Albuquerque will take on Caden Rezeck (1-0) of Durango Martial Arts. Clynes is a former Jackson’s MMA Series competitor and has immense all-around talent. The Durango Martial Arts gym is well represented with six fighters in action followed by El Paso’s Get Fit Fight Gym who will be sending four competitors into action. Rio Rancho’s Judgement MMA will have three fighters in action and Colorado’s Lifer MMA and Farmington’s 505 Fight Factory will have two each.